Home / Vivid Orange Colored Festive Wear Kanjivaram Silk Saree. 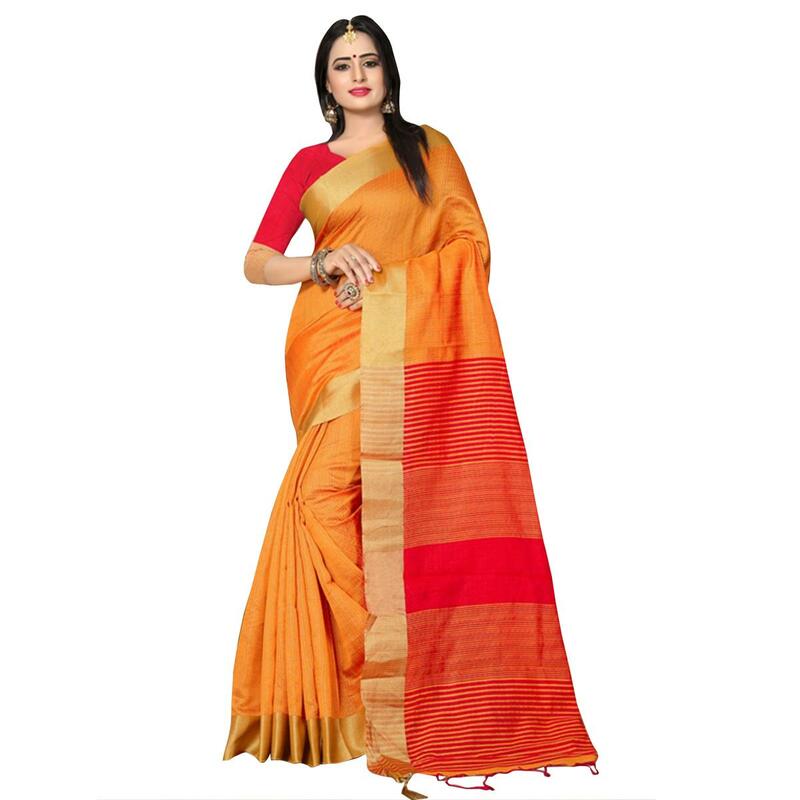 Vivid Orange Colored Festive Wear Kanjivaram Silk Saree. Appear glowy like a setting sun with this orange colored festive wear kanjivaram silk saree. The kanjivaram saree has a bright orange color base in combination with red stripes and contrasting red blouse which makes the outfit so delightful. The colors of the saree with goldreflects of the silk will make you look like a glowing goddess. . 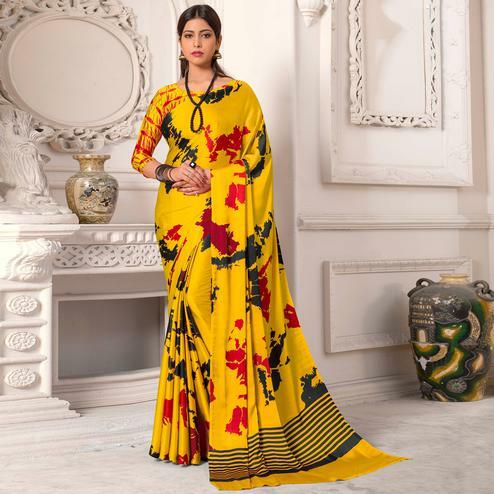 The saree resembles elegance and comfort and is perfect for ladies who like light weighted traditional outfits but want to even look more ethnic. The saree comes along with an un-stitched contrasting red blouse of kanjivaram silk which is the best combination with the solid orange colored saree.. The saree is perfect for weddings, traditional occasions and festivities,family functions. Pair it with gold or silver jewellery of your choice with a beautiful pair of heels and you will look perfect.